The Internet is in a period of dramatic change. We've built the traits we care about -- innovation, opportunity, interoperability, individual control -- into one layer of Internet life through the browser. We also need to build these traits into the new ways people use the browser and the Internet. Three of our largest areas of focus are mobile, "Open Web Apps" and the social and data sharing aspects of the Web. We're also increasing participation and collaboration with the Mozilla Drumbeat project. Mobile is a critical and growing piece of Internet life. 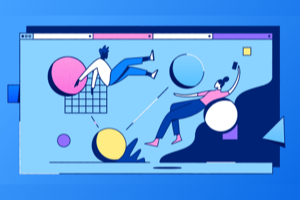 It's important to provide people with products that embody Mozilla values of openness, flexibility, and the freedom to innovate, just as we do for the desktop Web. One important step is making Firefox available for mobile devices. We released Firefox on the Maemo (now known as Meego) platform in Jan. of 2010. Firefox for the Android operating system is in beta now and will be available in a few months. Firefox 4 for mobile phones is a compelling product for both users and developers. For users, it includes what they love about Firefox: the Awesome Bar, support for browser Add-ons, integrated sharing, and seamless synchronization of bookmarks, history and passwords with desktop Firefox. 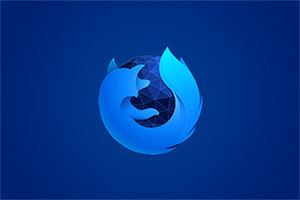 And because Firefox 4 for mobile is built upon the same browser engine as desktop Firefox, it provides developers with the same rich support for HTML5 and related technologies. We know that the "app" and "app store" model has a set of characteristics that people like. These include such things as discoverability, ratings, easy installation, easy payment for paid apps, and quick access from the device. However, the current app model also has traits that threaten some of the characteristics that have made the Web so vibrant a platform, particularly in the mobile space. Apps are often device specific and platform specific. Information we create in an application is stuck in that application and / or that platform. One doesn't join a unified whole as one can with the Web. App-related information isn't generally linkable or findable. In addition, developers often need to get permission from one or more gatekeepers to reach people -- from a network operator, a device manufacturer, a "store" operator. Similarly, consumers must go through these filters to access new functionality. It's important for the future to see the positive characteristics of apps and app stores integrated with the great traits of the Web. To do this we've designed a prototype of an Open Web App ecosystem: this includes a system design, technical documentation and examples of what such a system would look like and work like. 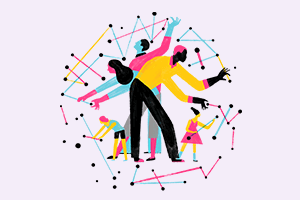 People are generating immense amounts of digital information about themselves. Right now there's no good way for an individual to control or manage the information we generate other than to rely on the application (such as the photo, recommendation, commerce or social networking website) where we posted it. It's also hard for a person to share information in the ways we want, so that we feel comfortable and safe with how the information we've created gets shared. We need to evolve the Web so that it is easier for people to share information when they want to, and to restrict access when they want to. We've started a set of experiments to figure out how to implement this idea, with experiments focused on sharing, identity, social contacts, and encrypted syncing of data among various machines. For example, F-1 is a browser extension that allows you to share links from any webpage in a fast and fun way. 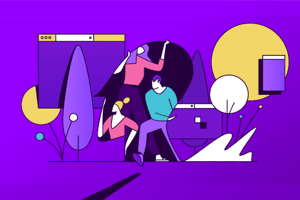 Mozilla's work to build openness and empowerment into the Internet has historically been almost completely focused on building key technical infrastructure – the browser and mail clients, and increasingly related services. This year we launched Mozilla Drumbeat to expand our scope. Mozilla Drumbeat projects use open technologies to bring participation, collaboration and empowerment to other aspects of online life. In 2010 we've focused on education, and making more audio, visual and international content possible. Peer-to-Peer University School of Webcraft and our Drumbeat Festival explore a variety of ways that educational possibilities can be broadened through collaborative online learning. The Web-Made-Movies project demonstrates how the open technologies of the Web can enhance video content. The Universal Subtitles project provides an open, collaborative way for people to add subtitles in multiple languages to any content. We've also set up a Drumbeat Open Web Fund which gives people a chance to donate and show their support for Mozilla's efforts to expand into these new areas.